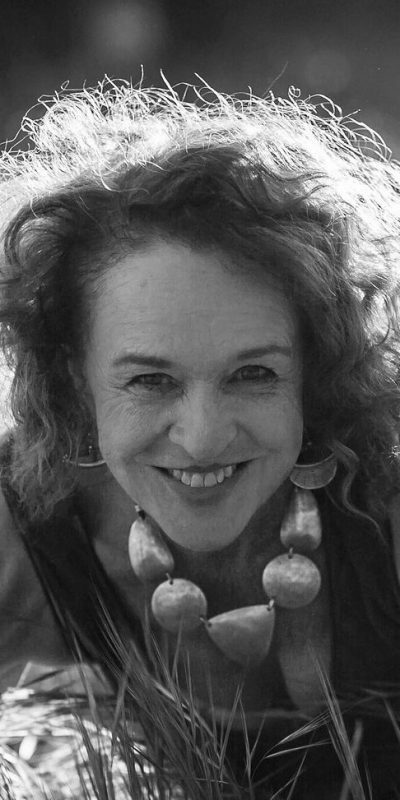 Deborah Raoult is dedicated to liberating the innate wisdom of the body. She has been passionately immersed in embodiment practices through Yoga, Buddhism and Somatics for over three decades. Her work focuses on the needs of women awakening their embodiment at the transformative thresholds of pregnancy, early mothering and menopause. As a movement educator Deborah explores the dynamics of breath and motion as gateways to awakening, communication and compassion. Her workshops seek to transform our relationship to body, community, and the Earth. In her unique Continuum Movement workshops she weaves autonomy of self-exploration with the dynamics of group inquiry through the listening and speaking process of the Way of Council. Deborah co-founded and directed an acclaimed yoga and movement center in her native Rochester for 18 years. Invited in as a Continuum teacher in 2000; she has assisted and co-taught Continuum with Emilie Conrad and Susan Harper. She has taught yoga and Continuum Movement both nationally and internationally. Deborah was interviewed in Yoga Journal and featured at the Yoga Journal Conference in Estes Park, Colorado on the topic of fluid movement and yoga. Her training in yoga has been in the Iyengar tradition with senior teachers and the Iyengar family in Pune, India. She completed the four-year program Body Mind Centering Practitioner program with Bonnie Bainbridge Cohen. Her innovative classes have also been a part of the SOMAFEST in Santa Monica the last several years.